We understand that no client expects to be charged, therefore, we know money for legal expenses is not always readily available. That's why we handle certain types case for as little as $250 and are willing to set up a payment plan for clients with complicated cases. Our objectives are to deliver the highest quality legal service at a fee affordable to our clients. 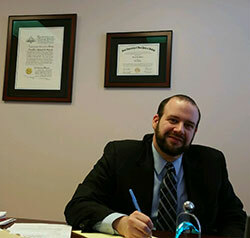 We also strive to maintain the concept of a single, personal, attorney responsible for the overall needs of each client. It is for this reason that The Law Office of Richard R. Shaw II has dedicated itself to providing regular correspondence with all of its clients, treating them with the respect and courtesy that they deserve. The Law Office of Richard R. Shaw II is a criminal defense law firm that excels in various fields of practice. Our primary area of practice is criminal law, however we also focus on negligence, estate practice, wills and trusts, real estate law, matrimonial law, transportation law, commercial law and collections, bankruptcy, appeals, and civil litigation. The convenience of having an attorney available who practices in various areas of law will provide you, the client, the best legal representation. However, be assured that we will readily recommend the referral of particular matters to various outside legal practices if we feel the referral is necessary and in your best interest. We consider your association with us as a confidential and personal matter and your privacy is of paramount importance to us. Information pertaining to your case will not be released without written authorization from you.